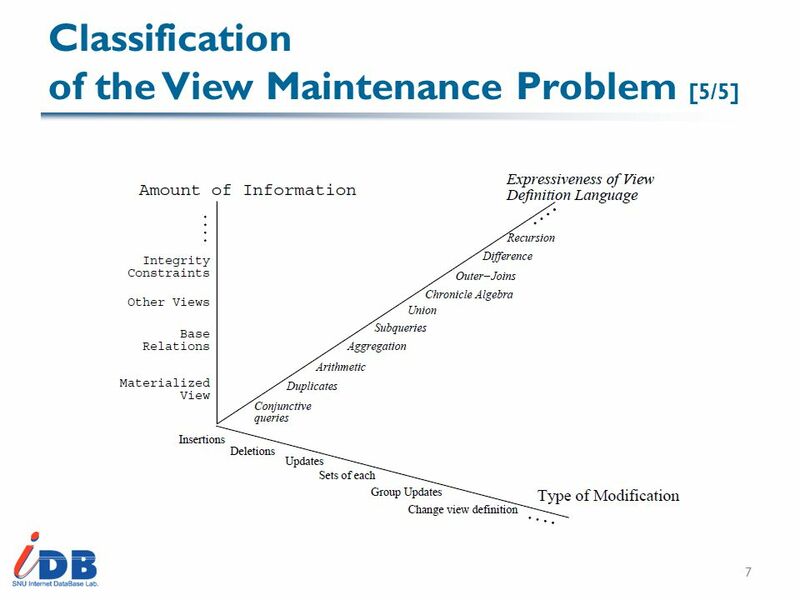 Maintenance of Materialized Views: Problems, Techniques, and Applications Ashish Gupta IBM almaden Research Center Inderpal Singh Mumick AT&T Bell Laboratories. 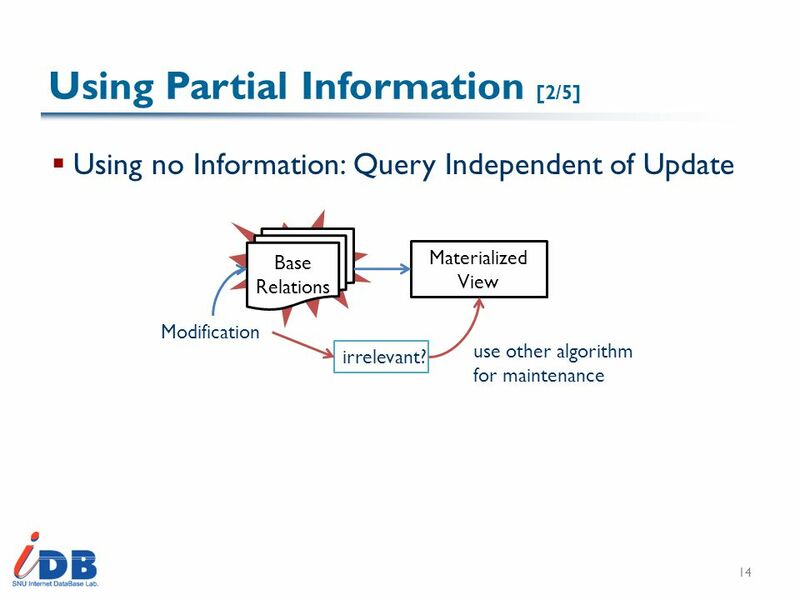 Download ppt "Maintenance of Materialized Views: Problems, Techniques, and Applications Ashish Gupta IBM almaden Research Center Inderpal Singh Mumick AT&T Bell Laboratories." Union, Intersection, Difference (subquery) UNION (subquery) produces the union of the two relations. 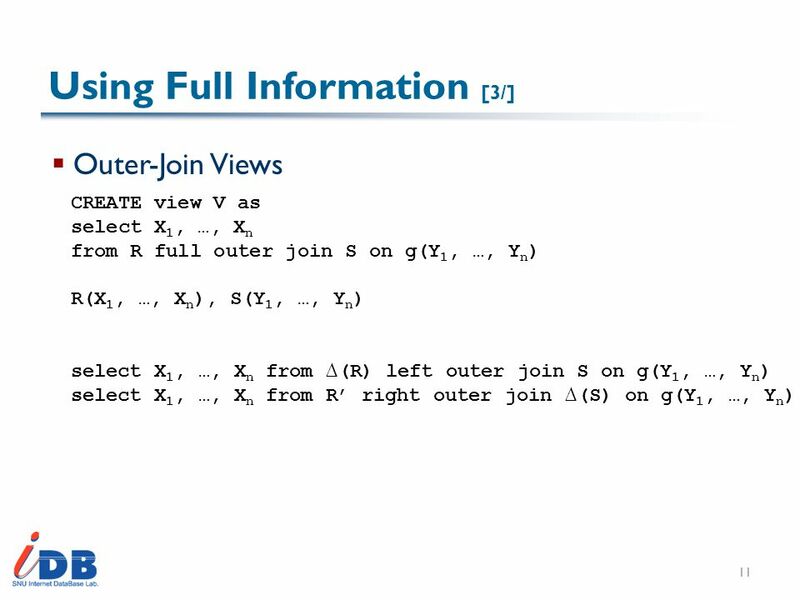 Similarly for INTERSECT, EXCEPT = intersection and. 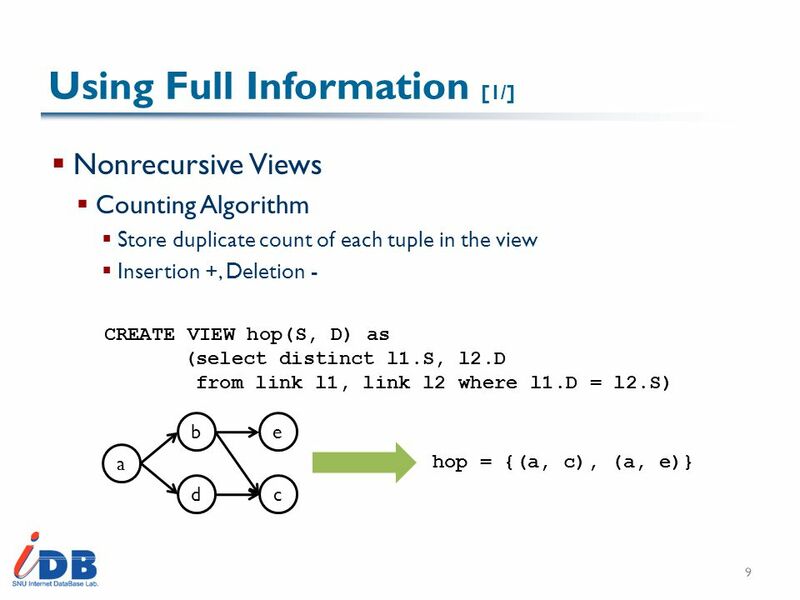 February 18, 2012 Lesson 3 Standard SQL. 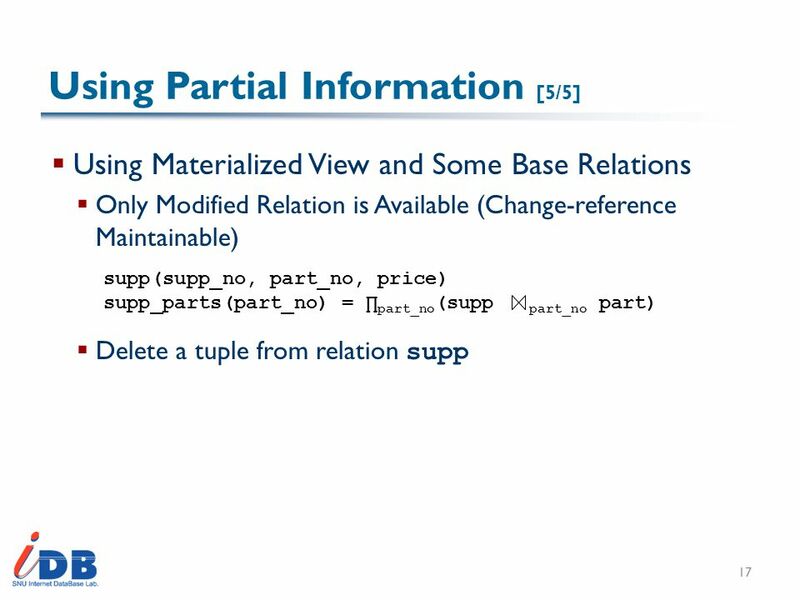 Lesson 3 Standard SQL. 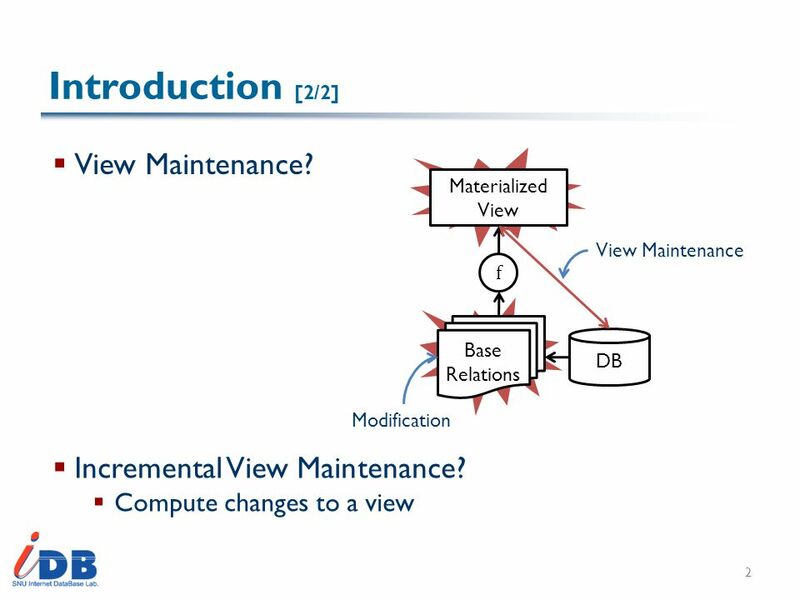 Outline  Introduction  Background  Distributed DBMS Architecture  Distributed Database Design  Semantic Data Control ➠ View Management ➠ Data Security. 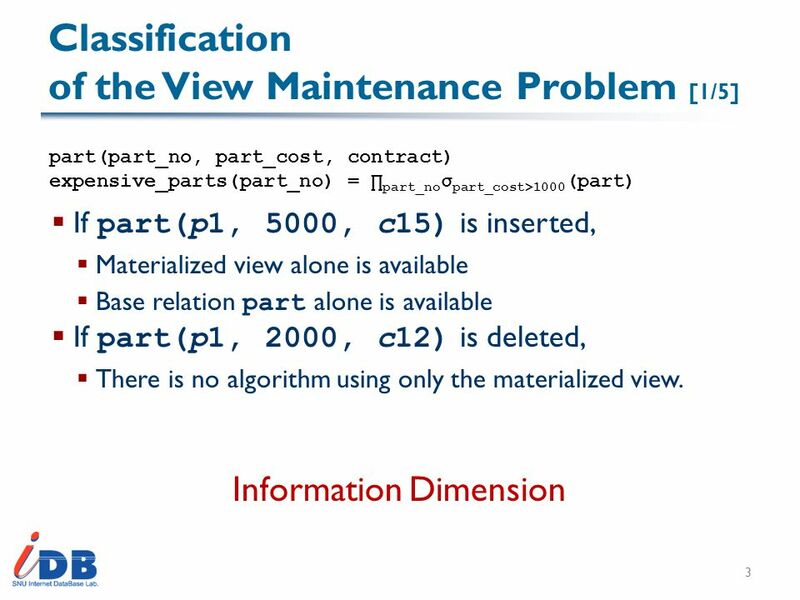 Query Optimization CS634 Lecture 12, Mar 12, 2014 Slides based on “Database Management Systems” 3 rd ed, Ramakrishnan and Gehrke. 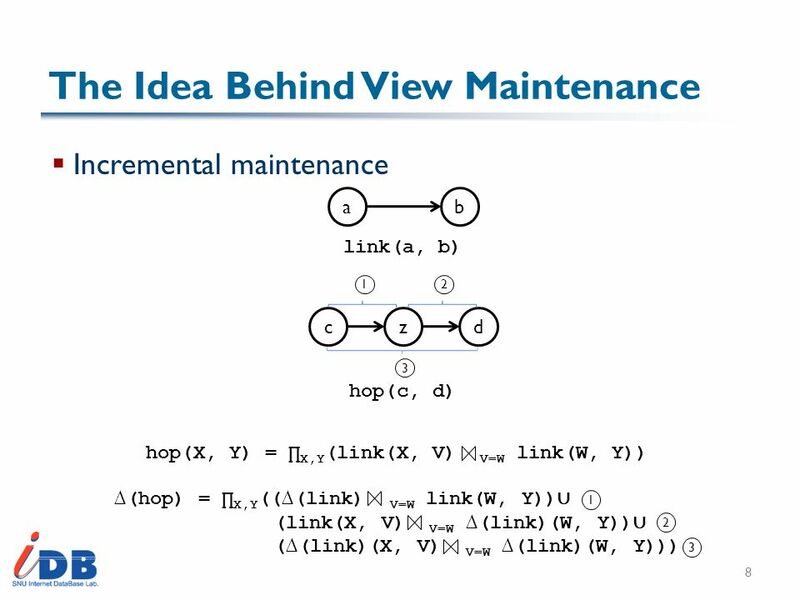 Fast Incremental Maintenance of Approximate histograms : Phillip B. Gibbons (Intel Research Pittsburgh) Yossi Matias (Tel Aviv University) Viswanath Poosala. 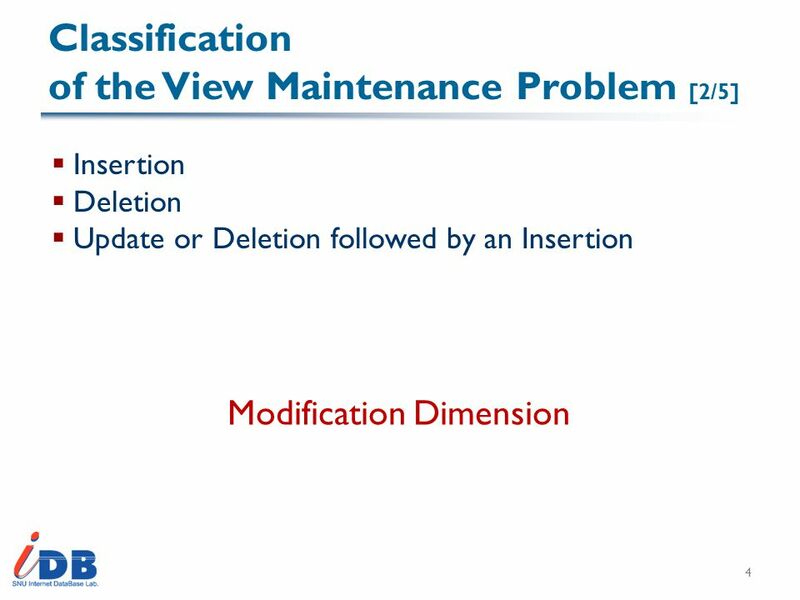 Incremental Maintenance for Materialized Views over Semistructured Data Written By: Serge Abiteboul Jason McHuge Michael Rys Vasilis Vassalos Janet L.
CIT 613: Relational Database Development using SQL Introduction to SQL. Incremental Maintenance for Non-Distributive Aggregate Functions work done at IBM Almaden Research Center Themis Palpanas (U of Toronto) Richard Sidle. 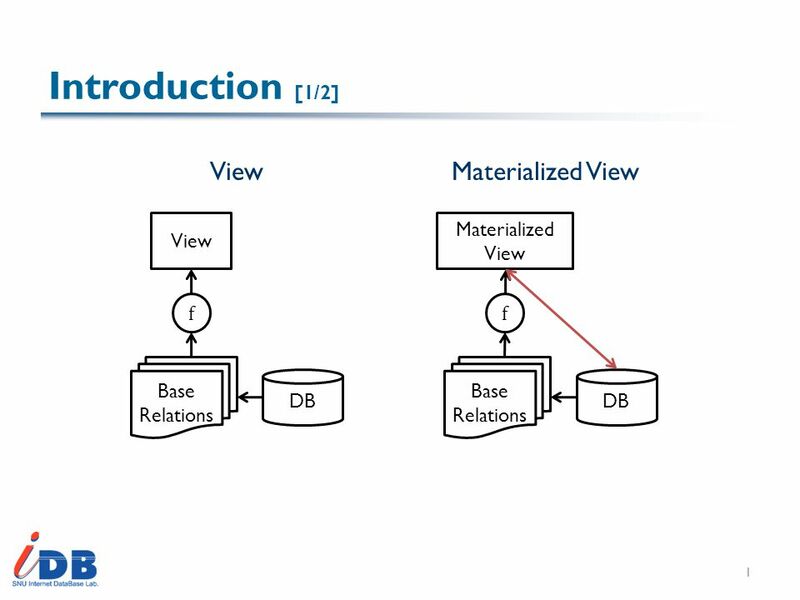 A Practical Introduction to Transactional Database Modeling and Design Mike Burr. 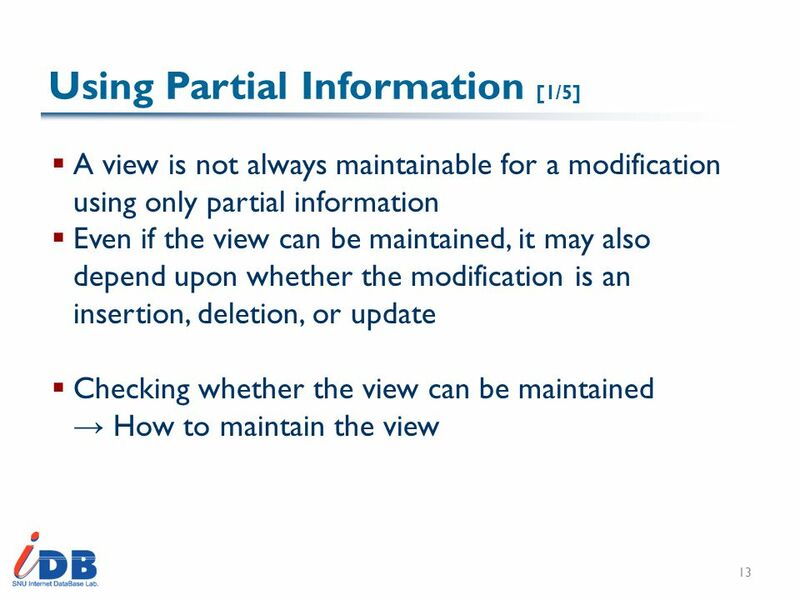 Chapter Information Systems Database Management. 12.5 Record Modifications Jayalakshmi Jagadeesan Id 106. Relational Algebra Relational Calculus. 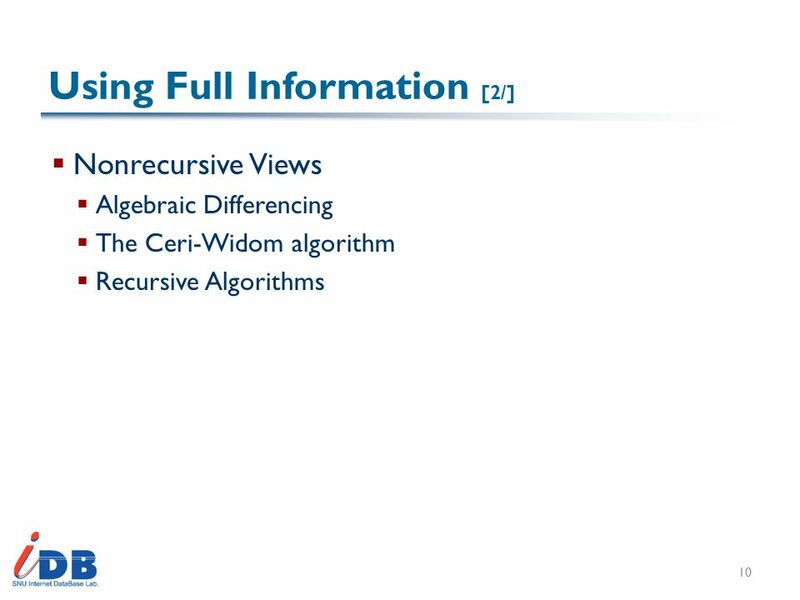 Relational Algebra Operators Relational algebra defines the theoretical way of manipulating table contents using. Ling Wang, Mukesh Mulchandani Advisor: Elke A. Rundensteiner Rainbow Research group, DSRG, WPI Updating XQuery Views over Relational Data. Temple University – CIS Dept. 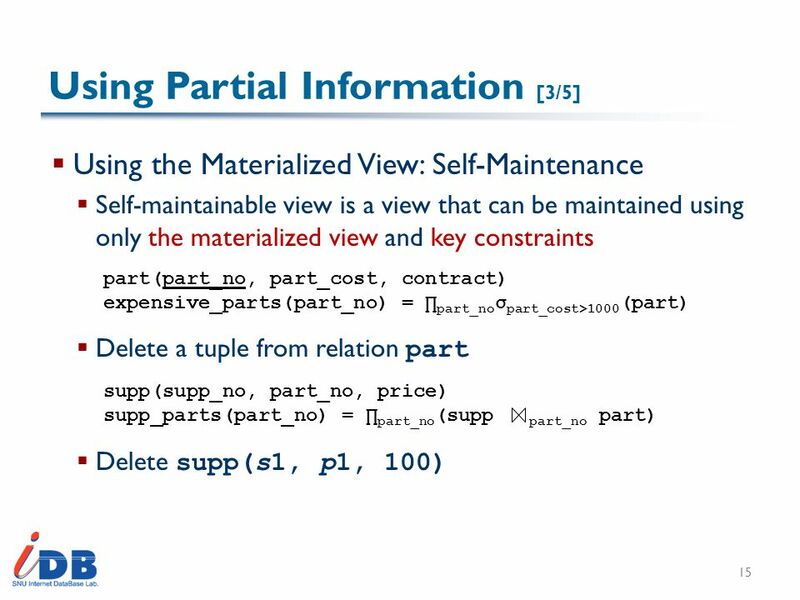 CIS331– Principles of Database Systems V. Megalooikonomou Query by example (based on notes by Silberchatz,Korth, and Sudarshan. C++ Programming: Program Design Including Data Structures, Third Edition Chapter 17: Linked Lists. 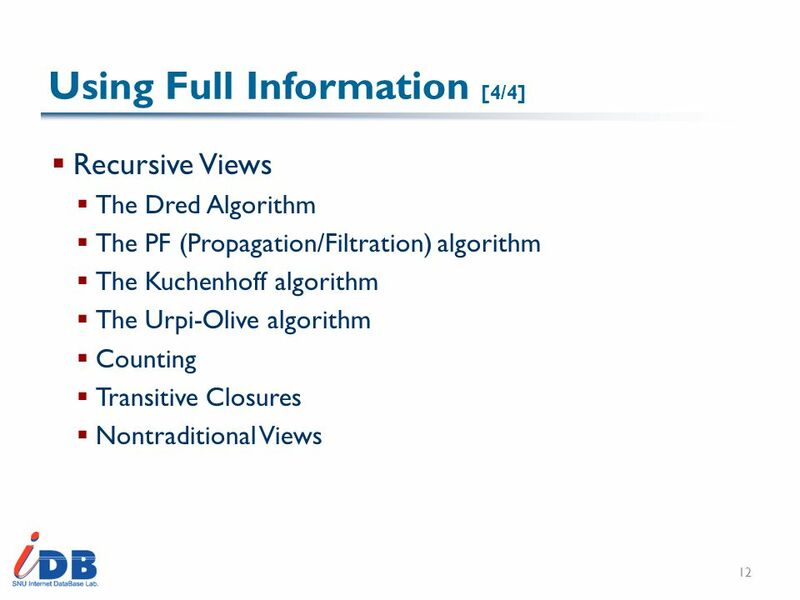 Source: Database System Concepts, Silberschatz etc. 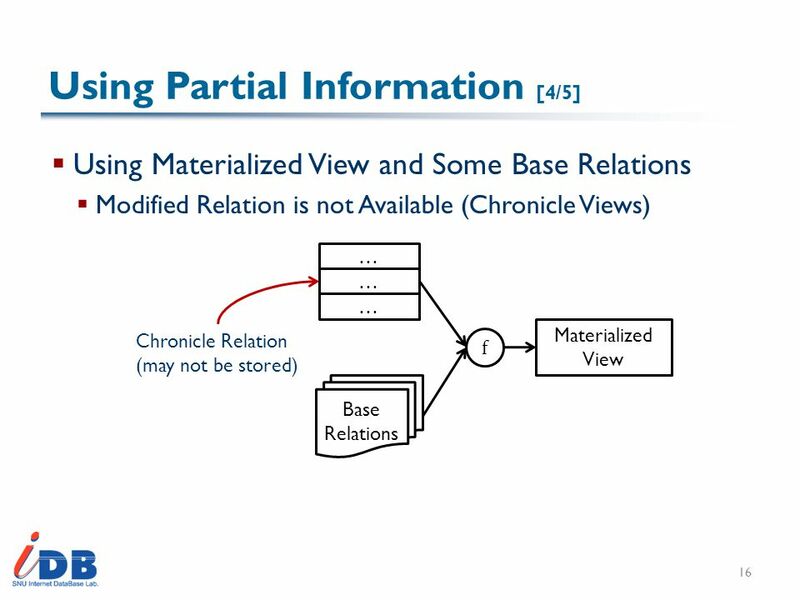 2001 Edited: Wei-Pang Yang, IM.NDHU, 2005 5-1 Introduction to Database CHAPTER 5 Other Relational Languages.